Can you believe we’re just two months away from IDEA World Blogfest?! TWO MONTHS!! Where has the time gone?! When the lineup was announced it felt like it was never going to get here but it’s right around the corner. Friendships – Blogfest is the perfect place to form relationships with some of your favorite bloggers. Where else are you going to get to spend three days together, in person!! 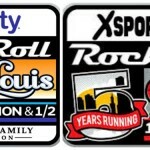 Education – If you’re like me, the thought of three days full of fitness and blogging education just gets me excited. You can check out the full line up but I’m most excited about well…ALL OF IT! Gabby Reece – As a former college volleyball player the thought that I’m going to be in the same room as Gabby Reece is CRAZY. I swear I’m going to try not to geek out (but I can’t make any guarantees). Sweat – If you haven’t noticed, I like to travel and sweat. Whether it’s a marathon or three days of work outs, I’m game (whenever I can get away from the kids). 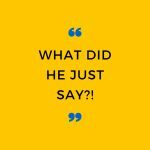 My first blogging session – I’m so stoked to be able to share with you some of my blogging experience and tips for working with brands. Hopefully you’ll take some very valuable advice away from the session that I’ll be doing with Katy Widrick and Laura Peifer. You are gonna want to be there! Ok, so I’m gonna make this easy. If you want to go, you can win by doing one of two things…Leave a comment telling me what you are looking most forward to or tweet (leave a comment with the tweet URL). The giveaway will end 05/26 at Midnight CST. 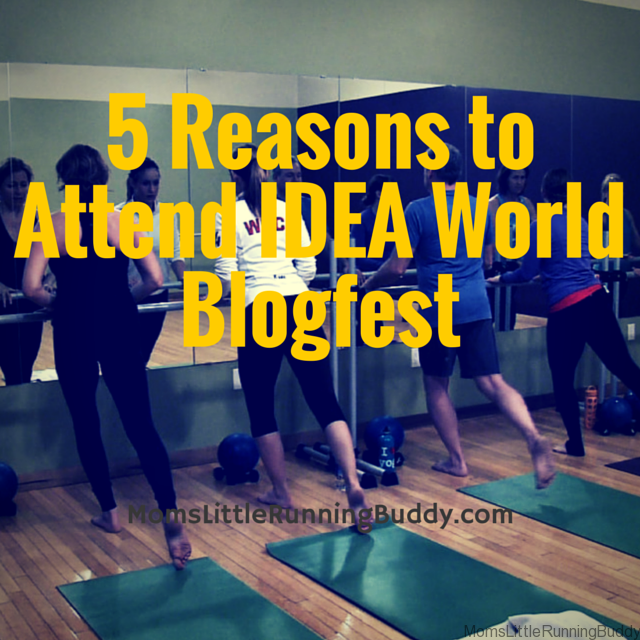 I want to join @Momslrb and listen to her speak at #Ideaworld #Blogfest #Sweatpink. 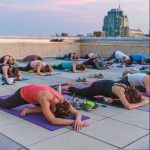 Twilight Yoga With Sante at The Chase Park Plaza + GIVEAWAY! I am so excited to meet you and so many other amazing bloggers.I am also looking forward to your panel. There is so much to learn! I really would love to go, but the only day I would be able to attend is Thursday and Friday. We leave on Saturday for a family vacation. I keep missing you! Oh man. I would LOVE to go to this! And hang out with you of course! Sounds like an amazing event! I’m looking forward to it for sure. I’ve never been to a blogging conference. I consider myself a rookie blogger so I would love to get some tips from others on how to stay true to myself, improve my blogging and growing my brand. Plus, I dream about taking a Jillian Michaels Body Shred class!! Me too! Jillian will kick our butts!! Meeting all the inspiring people. The about of knowledge packed in these days. I am not a trainer or an instructor. I am a woman who was once 257 pounds down to 207. A mama who wants her son to see my spiritual, mental and physical strength. I have only gone for the Saturday session. Would love to go more! YES! What an amazing story. You rock!! Seriously! It’s going to be so much fun!! AHHH I went last year and am trying so so so hard to get my booty back again this year as well. Not entering because I’m already going, but I just want to say I can’t wait! So excited to meet you and everybody else who will be there. YEAH! Can not wait to meet you! I would absolutely LOVE to go to this, but it just isn’t in the budget unfortunately! This is an incredible opportunity. Unfortunately, I live too far away so even if I won I wouldn’t be able to go, but I wanted to thank you for sharing your reasons for why attending events like these are so important and giving your readers a chance to go. Very cool! Thank you for commenting! Hopefully one day you’ll be able to go! Either way, I’ll be happy to answer any questions you might have! We’re here for each other. 1. I’d want to finally meet you! 2. It would be a good early birthday present that benefits ME! 3. Busting the top 5 nutrition myths seems like I good seminar. I think I’d get a lot from all of them. 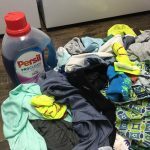 I had a blog (haven’t posted in over a year!) and I’d like to bring it back, but I’m not sure how to do that and make it relevant again and it seems like a lot of the presentations would help with that. 4. 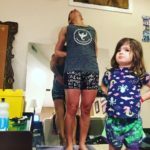 The workout with Gabby Reece! Hello! I tweeted! I would love to win a ticket for this, I was not able to go before and I am so dying to meet all of the wonderful amazing women I know through blogging. I was just wondering who won? I am going to the Fitness Day and hope to see some of you. But I always feel like a stalker/creeper because I get all excited to meet bloggers, IG, FB accounts that I follow. Such inspiration! !